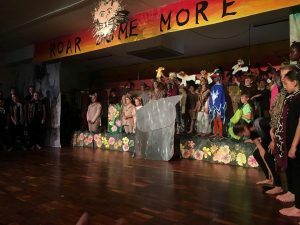 Llandaff City Church in Wales Primary School has been swarmed with excited parents this past week for a production of ‘Roar Some More’, a unique adaption of the family favourite film and most successful stage show of all time, ‘The Lion King’. Earlier this year, auditions were held to cast all roles, which ranged from stagehands to chorus – even to the king of the jungle himself, Simba! Rehearsals have been taking place on a weekly basis ever since, and it’s clear that the commitment and practice certainly paid off…the roof was blown off three nights in a row! It was a majestic explosion of spectacle that certainly wasn’t to be missed. 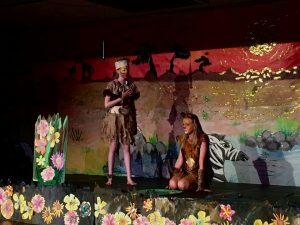 Dimmed lighting, wild animal upheavals and the chilling Zulu chorus instantly took the audience to the African jungle paradise to meet Simba, Nala and the rest of the gang. 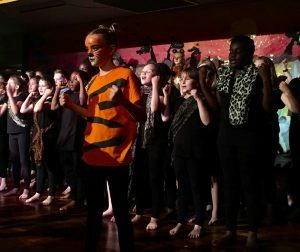 Over one hundred enthusiastic children from years five and six came together to perform a show-stopping musical theatre bonanza that lasted almost two hours – an impressive stunt for children between the ages of nine and eleven on school nights! When all of the animals joined forces for the finale, it was almost as if Noah had emptied his ark right in front of the audience! A perfect blend of carnival spirit and cinematic thrill, the production could not have been more captivating. Costuming lighting, set/prop design,hair/makeup – it could not have been more fitting! 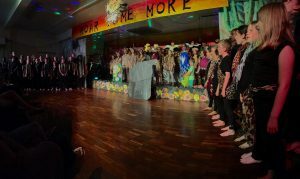 However, it is important to mention that this could not have happened without the non-stop support, encouragement and dedication from Mrs E Brown, Miss M Bannister, Miss K Shewring, Mr S Johns and Miss V Smith, in addition to the many other supporting staff behind the scenes. The past few years has brought about adaptions of familiar productions such as ‘Miss Poppins’ and ‘Climb Every Mountain’. I wonder what’s on the bill next? Join in the fun and come along! The children of Llandaff City are extremely talented. The productions are of such an exceptional standard that you’ll forget you’re in a school hall and not the West End! The only difference is that you can grab yourself a ticket for a mere £5 – what a steal! Laughter, tears and entertainment are guaranteed! Keep in the loop with Llandaff City on Twitter – @LlandaffCity.